Join Sergio and me at Paige Turner’s show at Club Cafe on Friday, February 16th. Ms. Turner makes her debut performance in Boston with in her one woman show, Drag Me To The Top! Learn the unvarnished truth of how Paige climbed her way to the top in a world filled with bottoms. The show is filled with live singing, outrageous comedy, videos and over the top parodies that will have you laughing throughout. Ms. Turner is a Glam Award winner and known for her over the top parodies on You Tube, which you can check out here: PaigeTurnerNYC. 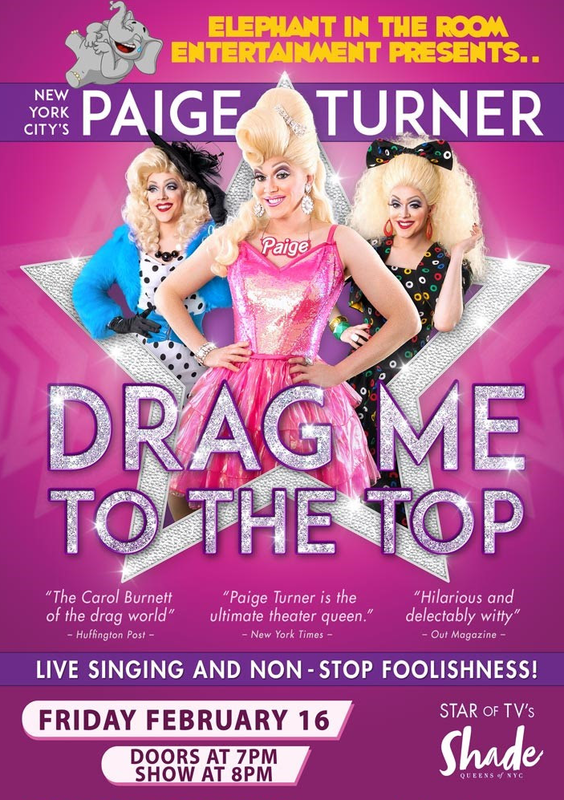 What: Paige Turner – Drag Me To The Top!